These Air Dry Clay Beads are fun to make and fun to wear! I will show you how to shape three different beads, paint and finish, all ready to thread onto a necklace. Use wool roving to make a giant fluffy pom pom that can be made into a bag charm, key chain, a Christmas decoration or even for the top of your hat! 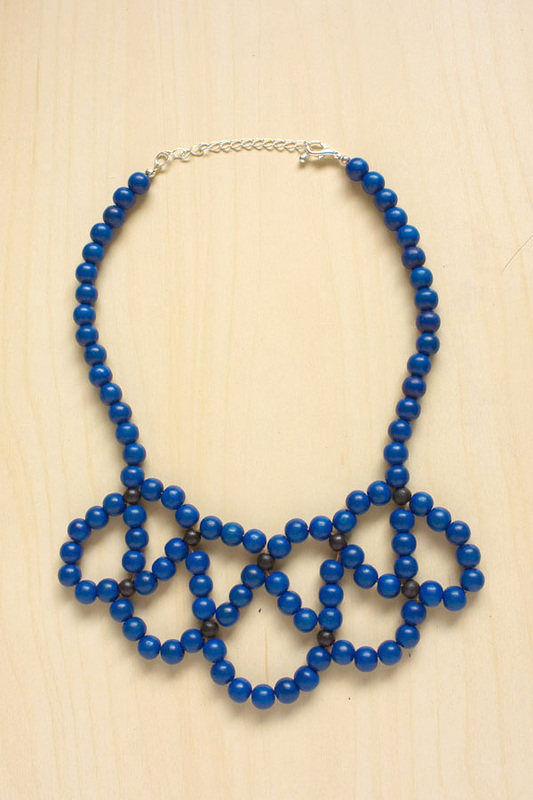 This Beaded Statement Collar Necklace uses wooden beads and thread to create a lightweight, dramatic piece of jewellery, perfect for adding a splash of colour to any outfit! Take a plain old notebook, some embroidery thread and with some simple stitches create a unique design!